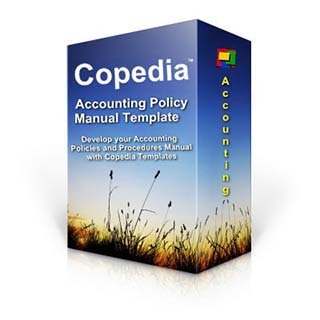 Copedia provides businesses, nonprofits, education, and governments the tools, text, and framework for implementing an organized and integrated system of standard operating policies and procedures using templates. 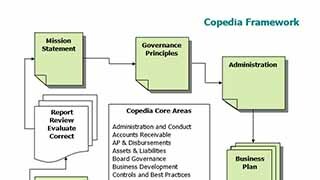 Copedia includes the content and spreadsheets required for developing policies and procedures with strong internal control. Various Copedia editions, template libraries, and software are designed for small businesses, larger enterprises, and organizations pursuing the highest level of corporate governance. Our compliance editions are designed for entities wanting accreditations, certifications, ISO, Sarbanes-Oxley Act, Uniform Guidance, ICFR, audit, or board governance solutions. Copedia is a standard framework of templates that can be modified to make your own company manuals or management system. Our templates download in MS Word and Excel for quick and easy customization. Make an Accounting Manual, Management Handbook, or Office Manual easily with templates. Develop your company manual as an integrated system of Standard Operating Procedures with this template library. Board Governance with corporate policies and procedures. Risk Management policies and procedures with evaluation tools. Business and Strategic Planning Templates. Forecasting and Capital Budgeting. A template library including accounting policies and procedures with accounting flowcharts. Spreadsheet tools and internal controls covering Cash, Checks, AP Accounts Payable, Payroll, Purchasing, AR Accounts Receivable, GL General Ledger, Ethics, Code of Conduct, Email, Fraud, Division of Duties, Job Cost, Projects, Office Tasks, Risk Management, Planning, Sales, Best Practices, Benchmarking, and more. Internal control system. 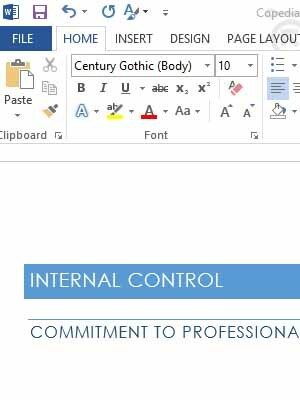 Internal Control policy and procedures templates with checklists and Excel spreadsheet evaluation tools. Internal control procedures for accounting, management, HR, safety, grants, projects and sales. Advanced internal control system. COSO 2013, The GAO 2014 Green Book, ERM, and our Risk based Internal Control over Financial Reporting (ICFR) templates are included in the Copedia Compliance Editions. 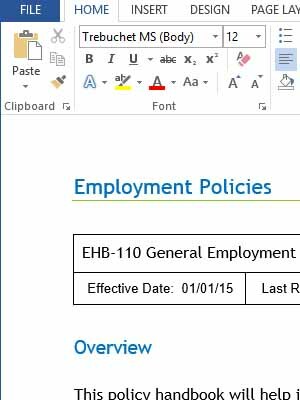 Easily make Payroll, Employee, and Human Resource Policies and Procedures Manuals. Templates of company policies and procedures with forms. Also includes hiring and terminating procedures. Complete Safety Program. Construction and office versions. Comply with OSHA. Complete with company policies, procedures handbooks, manuals, forms, and Training Aids. Sales Manual Pro - Sales and pipeline management for individuals and sales teams. Ideal for project managers. Includes guidelines for the PM process, estimating and PM checklists, forms, supervisor handbook, and more. Easily develop a project handbook. Project and Job Cost accounting for contractors. Includes Project Management Internal Controls. Construction Edition Safety Program for Compliance. Easily create a SOP from our standard operating procedures template. Standard business policies and procedures template formats and styles. Includes 25 sample templates. SOX Templates. SOX404Lite is a library of templates for companies and nonprofits seeking hard or soft compliance with the Sarbanes-Oxley Act. Implement in preparation for a SOX audit or as required by the Act. Includes all the accounting templates and Sarbox internal control checklists. The Copedia NPO Edition. Nonprofit policies and procedures manual templates. As may be required or in response to your board or nonprofit audit. Business laws that should be read by every senior manager. Included with all products. Copedia provides a correct framework for compliance with ISO certification, Accreditations, Board requirements, and other government agency type audits which require that you have documented corporate policies and procedures, an internal control system, and an integrated risk management framework. The Copedia compliance templates and internal control evaluation tools, policy and procedures, and checklists provide the tools you need. Contact us directly regarding our consultative solutions. Copedia Compass is our workflow and task management app. We can help you develop a customized compliance app for your business. Our Cloud based app work with Microsoft Excel, SharePoint, and PowerApps. Copedia includes the content required for developing professional policies and procedures manuals with strong internal control. The Copedia Framework is a corporate governance framework of templates used by over 10,000 businesses, nonprofits, universities, colleges, and governments. Get the complete Copedia framework with the Content Library Editions. Demonstrating compliance with policies, procedures, laws, regulations and other performance standards is a fundamental internal control objective. Copedia Compass is our easy to use compliance solution. Copedia Apps is our online solution. We provide the platform and incorporate our templates, content and video into a multimedia presentation for your employees, vendors, customers and stakeholders.